Why…give to you? Engage with you? Purchase from you? People give, engage and purchase from people, not just the organization. Particularly, people they know well and believe in, which we have proven. 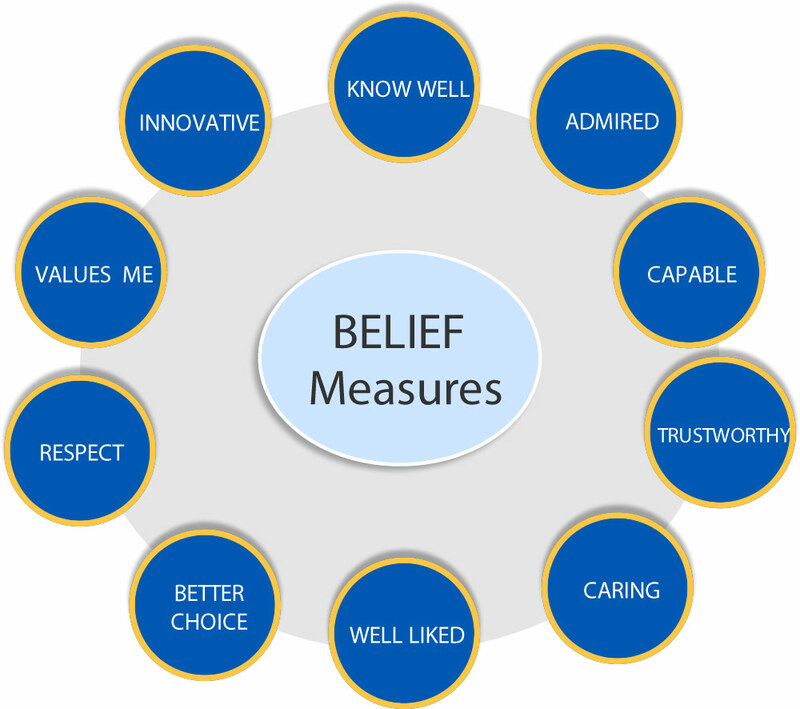 Through our R&D research of 16 studies and 8,400 interviews we have found belief is multi-dimensional and have identified ten dimensions that we use in our tool to measure belief. We customize the tool based on the organization and industry and add additional relevant dimensions for us to measure when helpful. This tool helps our clients gauge their strengths and weaknesses and digs deeper to understand the “why” behind it. The insights help create strategies to build better belief in the organization that will lead to long-term revenue growth. It’s also a valuable KPI to track overtime and understand where you fall in relation to other similar organizations or competitors. This is an example of our tool in action some have found interesting. 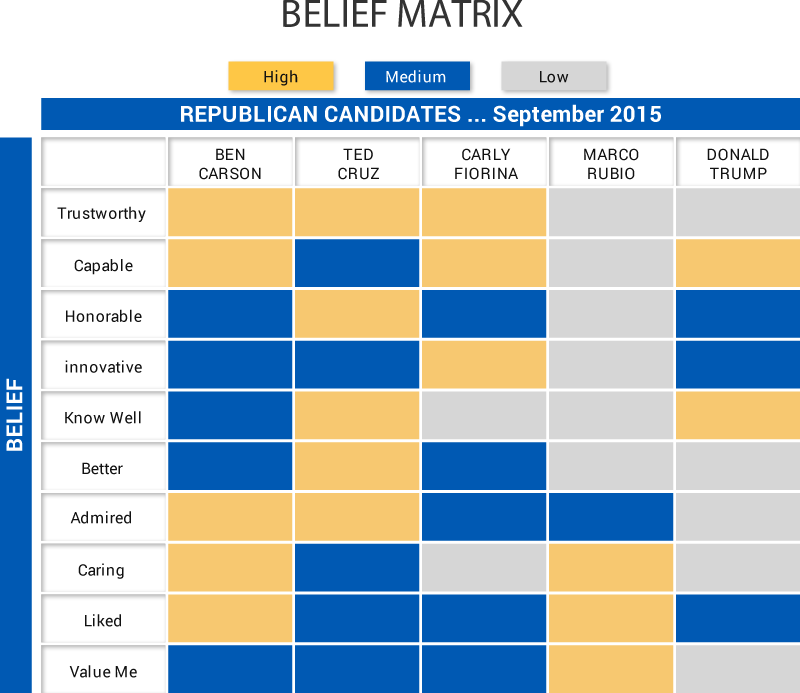 These Belief Identifier’s were measured in September 2015 among the Republican Candidates still in the running for the presidency and highlights the strengths and weaknesses for building belief among voters for each candidate. Watch this video from one of our founders that shows Belief Measures for nonprofits and how belief drives giving.